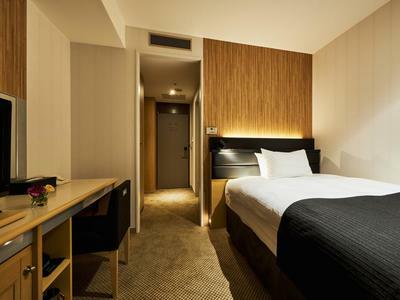 Where is the best area to stay in Sendai? Although Sendai is a big city with over one million inhabitants, the choice of the area where to book a hotel for your trip to Sendai is pretty easy. Sendai is in fact not particularly rich in things to see, and almost all the attractions are concentrated in a fairly small area, between Sendai Station and the Aoba Castle's Park. Hotel belonging to the japanese hotel chain Dormy Inn. This hotel is in a perfect location, along a tree-lined boulevard full of shops, 10 minutes from Sendai Station and a few meters from the Kokobuncho nightlife area. Like all Dormy Inn hotels, this hotel offers clean and comfortable rooms, public baths and a sauna on the top-floor, complimentary coffee every morning, complimentary ramen every night. The breakfast buffet is excellent but never included in the basic fee. Highly recommended as all Dormy Inn hotels. 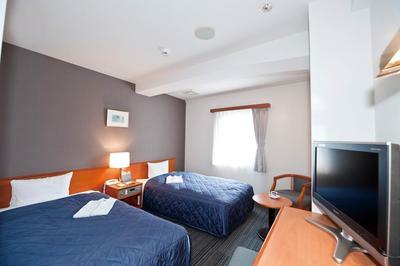 A fairly inexpensive business hotel with a location that could not be better, 400 meters from Sendai Station and right along one of the city's famous covered shopping streets. 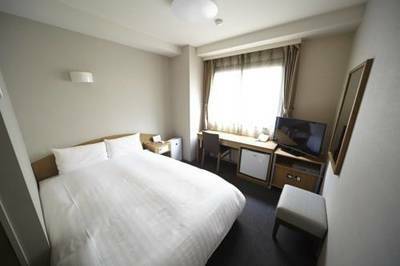 Rooms are slightly more spacious than average on this price range, and equipped with all the standard comforts of a Japanese business hotel. Impeccable cleaning except for the smell of smoke that can not always be completely eliminated due to the presence of numerous smoking rooms. A coffee machine is available 24 hours for free to all guests, while with 800 yen per person you can enjoy a rich breakfast buffet. 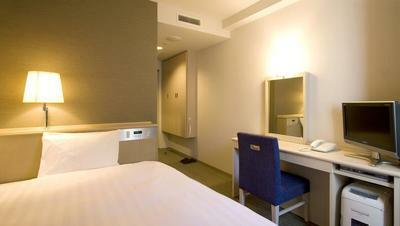 A large hotel 700 meters away from the west exit of Sendai Station, in the commercial heart of the city. It is located in a tall modern building, whose interiors have been completely renovated in 2017. The rooms are equipped with all comforts and are more spacious than average, the smallest measuring 18 square meters. Inside, there are also several restaurants, some of which are of a very high standard. Breakfast good but expensive. 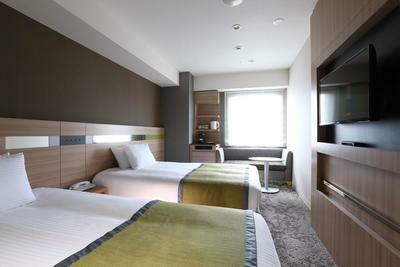 A business hotel just 500 meters away from Sendai Station and next to the Sendai Asaichi Market. The rooms are more spacious than average, the smallest measures 16 square meters. Simple furnishings but with all the basic comforts. This is one of the cheapest hotels around Sendai Station, depending on the period you might find really low prices, especially for single rooms. A no-frills hotel in a great location with a very good value for money. 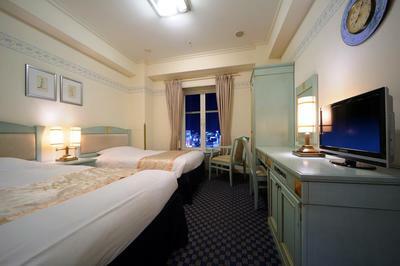 Mid-level hotel, located 600 meters from the west exit of Sendai Station, in the commercial heart of the city. The rooms are average, most of them measure 14 square meters and are equipped with double beds (regardless of whether you are a solo traveler or 2 people). A well-kept and elegant hotel, every room inside is equipped with a nespresso machine to make coffee. Excellent buffet breakfast but 1500 yen per person. A large public bath is available to all guests. A large, mid-range hotel in a twenty-story building, located virtually opposite the west exit of Sendai Station, in the commercial heart of the city. The rooms are equipped with all comforts and are more spacious than average, the smallest measuring 18 square meters. The interiors are furnished in a classic European style, a style not very common in Japan, with elegant antique furniture and wooden floors. Among the services offered by the hotel, we point out that a smartphone is provided in all rooms and it can also be used outside the hotel with internet and unlimited calls, this is an uncommon but useful service. Inside there are some restaurants and a SPA with a large bath and a sauna, however (this is a minus) there is an entrance fee even for hotel guests. 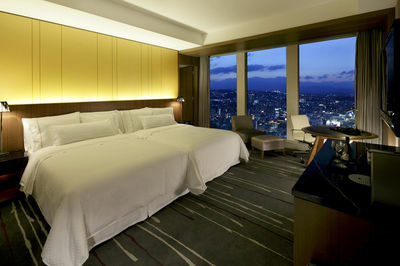 The most luxurious hotel in Sendai, located about 900 meters from Sendai Station, within the Sendai Trust Tower, the tallest skyscraper in the city. The hotel rooms in particular are all located between the 28th and 36th floor. The hotel belongs to a well-known international chain of luxury hotels. All the rooms are very spacious, the smallest measure 30 square meters, and are equipped with stylish furnishings and high quality accessories. The hotel offers a variety of services worthy of a 5-star rating. Inside there is also a SPA and several restaurants. For the sole fact that you are looking for info on this hotel I think you have no budget problems, so I suggest you the top: for an unforgettable night with your partner, I recommend Premier rooms, equipped with a bathtub next to a large window for a breathtaking night view while taking a bath. 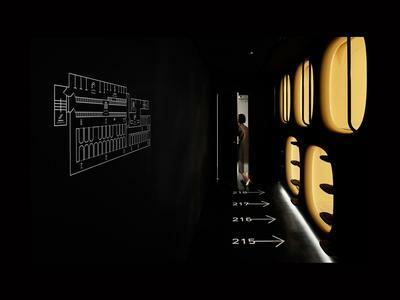 A newly opened capsule hotel, 450 meters from the west exit of Sendai Station and right next to one of the city's famous covered shopping streets. Both the structure and the capsules are incredibly clean and comfortable. There are various types of capsules, more or less spacious, with a few yen difference between one and the other. Guests have access to a common room, beautiful public baths that also include a sauna and an outdoor pool (rotemburo), a 24-hour budget restaurant where you can order a curry rice for just 400 yen. Among the cons we must say that it is rather expensive to be a capsule, depending on the period you could even find a single room in a normal hotel at the same price. Always check, however, if there are any special offers! This capsule hotel, a branch of a chain spread all over Japan, is located right in the heart of Sendai's nightlife area, Kokobuncho, while Sendai Station is a 15-minute walk away. Capsule hotels Nine Hours are distinguished by their unique, minimal style, with an atmosphere inside resembling a Star Trek spaceship. Maniacal cleaning, comfortable capsules. The best capsule hotel in Sendai. Small family-run guest house, located slightly outside the city center in a quiet residential neighborhood. Nigatake station is 700 meters away from the guest house, and from there you can take the Senseki line towards Sendai station (7 minutes) or to Matsushima (half an hour). 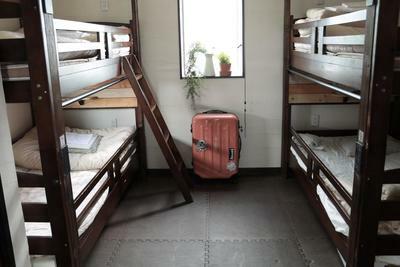 The property offers dorm beds, divided by gender, or very small private rooms with tatami mats and futons. A simple free breakfast is offered to all guests. Inside also coin-operated washing machines and a common area, where in the evening it is easy to make friends with other guests or with the owners themselves. Recommended if you are looking for a very cheap accommodation and prefer the warmth of a guest house rather than a capsule hotel.